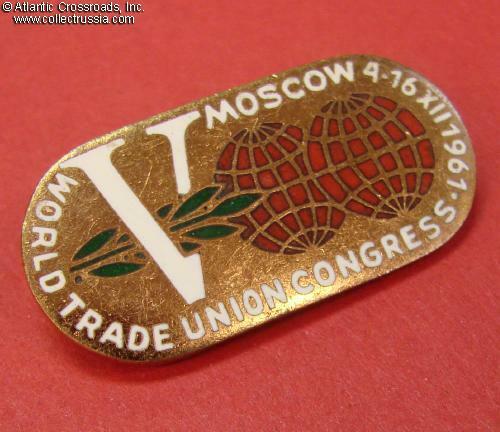 Fifth International Congress of the Trade Unions, participant's badge, Moscow, 1961. 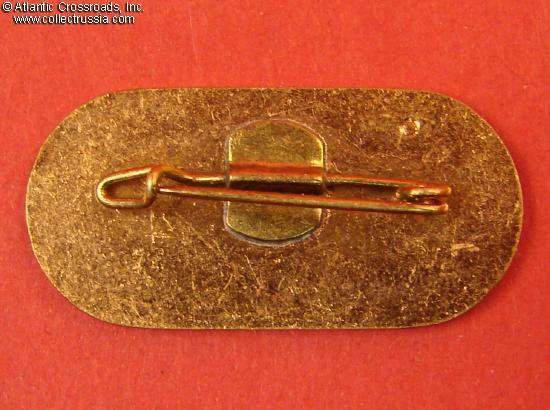 Brass gilt, enamels; 33.1 x 16.1 mm. 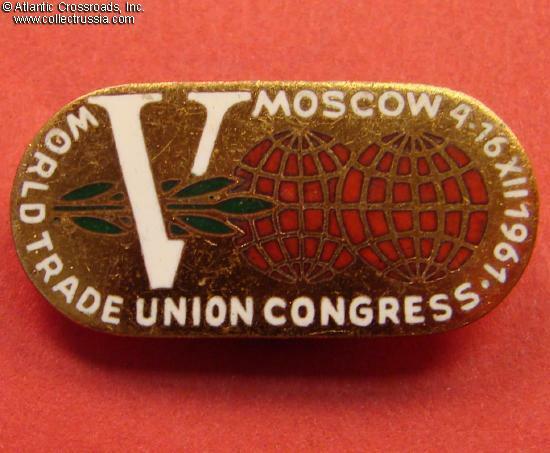 A very unusual Soviet made badge with English writing. The congress was clearly a part of Khrushchev's effort in engaging the West and spreading communist influence through "peaceful means" (i.e. subversion). The meeting of the labor "community organizers" in Moscow was probably viewed as promising venue to achieving the Soviet far reaching political goals.